We agree with Plato, who said: "He was a wise man who invented beer." Pivovarna Union d.d. is one of the largest joint-stock enterprises in Slovenia with a brewing tradition dating back to 1864. With their state-of-the-art technology and equipment, premium-quality ingredients and years of expertise they brew the best beer in the country and produce a wide range of refreshing non-alcoholic beverages as well. History buffs and devoted beer lovers like us have the possibility of taking a guided tour of the brewery that the Kosler family started to build in 1864 and experiencing the whole production process – from brewing to packaging and storing of beer – as well as visiting the Brewery Museum that was established in 1986. 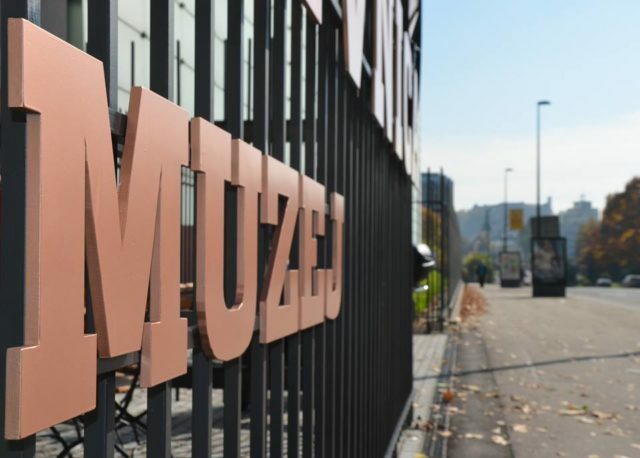 It was the first museum of brewing in Slovenia and one of the largest on the European continent, but that’s not all it is: in 2014 Pivovarna Union extended its offer by opening ‘The Union Brewery Pub’ set in the old malting plant building. The Pub soon became the place to be on the Slovenian Beer Scene and is nowadays also popular with foreign guests who cherish the local experience and love trying something new. Another change that is shaping the future of the brewery is also the fact that in 2015 Heineken acquired a majority stake in Pivovarna Union d.d. With their joint powers they now intend to fully follow market trends, further improve the existing product ranges as well as develop and introduce new ones. We look forward to seeing what’s next! Arranging accommodation within walking distance of Pivovarna Union is easy. The closest hotel is Hotel Lev, which is perfect for anyone looking for classical elegance and modern comfort. It is also a great meeting hotel, with its largest hall welcoming up to 400 guests. In the near vicinity are also lovely hotels like Hotel Slon, City Hotel, Grand Hotel Union and a number of others. Although Ljubljana is a small city, it offers a wide range of apartments and hostels suitable for every wallet and taste. 1. Beer tasting – indulge your taste buds with a variety of different beers brewed by Pivovarna Union and served nice and cold in the Union Brewery Pub. Enjoy a selection of culinary creations that complement the different types of beers or surprise your guests with à la carte dishes prepared in front of their eyes at the pub’s open kitchen. 2. A walk through the beer history – Understand the significance of beer brewing by visiting the Brewery Museum. Learn how the brewing process has changed over the years. 3. Beer is brewed in Union heaven – Find out how professionals brew beer. Visit the production and take a walk through a technological process of brewing, packaging and storing of this globally popular beverage. You might think that in a brewery the focus would be exclusively on beer, but Branko Podmenik, chef of Pivnica Union, is definitely succeeding in mixing modern food with traditional values along with their home-made beers. Together with the attentive and friendly staff helping you select the right beer with your food choice, they offer a really perfect mix for the food & beer experience. The open kitchen of the Union Brewery Pub cooks up a combination of some traditional Slovenian food with some modern cuisine, the menu offering both a broad food selection and price range, from a weekly menu serving lunch and snacks to à la carte food, house specials with beer, warm and cold appetizers, soups, steaks, desserts and more. A full choice is at your disposal – depending on how much time and money you have, of course. The food offer is topped off with the house’s main focus – the beer from the Pivovarna Union brewery, where it has been brewed since 1867. They offer a huge choice of Union, Laško and Heineken beers, bottled and on tap, and the personnel is always there to help out with the right combination depending on your food choice. With all of this it is no wonder that the Union Brewery Pub is featuring among the top rated experiences in Ljubljana and is very popular with tourists and locals. “Brewers choice” – an exclusive offer of beer! We agree with Plato, who said: “He was a wise man who invented beer.” Everywhere we go we love to try something local, and what can be more local than the local beer offer? From the “King” Union pale beer to a dark beer and a selection of unfiltered beers, the popular Union drink is always brewed only from selected natural ingredients. Staying local is the key to success. Only a few aficionados know that the Union Brewery even today draws the total amount of exquisite water from their own wells and use only Slovenian hops. Most varieties of beer they produce can be bought in restaurants and shops around the country and abroad, but a special selection, called the “Brewers selection”, can be imbibed only at their pub. So whether you are organising an event, incentive, meeting, celebrating a birthday, a promotion at your job or would like to enjoy a cold glass of this tasty Slovenian beer with a great Champions League match, the Union Brewery Pub is the best place to do it. Our hint: if you would like to top your experience with live music, visit the pub on Mondays, when they hold a competition for the best house band. Pivovarna Union is located in the centre of Ljubljana. It is about a 30-minute drive from the Jože Pučnik airport, a 15-minute walk from the railway station and just a few minutes’ walk from the main sightseeing attractions. There are no free parking spaces on the premises, but you can park your car across the street in the Tivoli Park car park. To get around the city you can also use the free “BicikeLJ” bicycle-sharing system, or public buses for which lines 1, 3, 5, 7, 8 and 25 will take you directly to the brewery, as the bus station is located in front of the main entrance.